Most likely, you may have stumbled upon this article while searching for internships in Samsung. One of the largest multinational conglomerates, Samsung is known for providing excellent internship opportunities. A Samsung internship is valued by students all over the world. What are the types of internships available at Samsung and who are eligible to apply? Samsung has dedicated internship programs for engineering undergraduates, postgraduates, and MBA students which generally last over a period of 10 weeks. There are various divisions in Samsung and internships are available in a variety of disciplines. 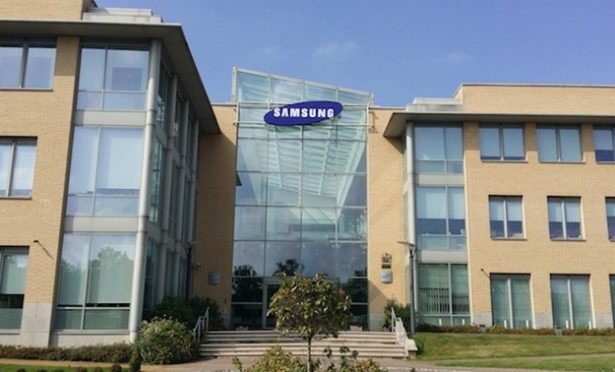 For an internship in Samsung India, interns are taken for the three R&D centres: Samsung Research Institutes in Bangalore, Delhi, and Noida for both software and hardware profiles. 1. Campus recruitment: Samsung hires most of the interns through universities directly. Get in touch with your college placement coordinator for arranging a campus visit. 2. Online application: You need to register on their website and then you can search for the available internship positions through their careers page. 3. Referral: If you know someone who works at Samsung, ask them to provide a referral. A referral helps in resume clearing process and takes you directly to written test or an interview. The first step of campus recruitment process in most colleges is resume shortlisting. The focus is primarily on the CGPA and some weightage is also given to coding experience. After the initial screening, students have to give a written test, which is divided into two rounds. Round 1 is an aptitude test similar to the Global Samsung Aptitude Test (GSAT). It has 60 MCQs which are to be solved in 60 minutes. Questions based on verbal reasoning, arithmetic aptitude, logical reasoning, and data interpretation are asked. • Given a string, remove all same consecutive letters until there is no same consecutive letter. For example, if given string is “dfaaafp”, return “dp”. • Given a BST, find k-th largest element without using extra space. For the hardware profile, this second round mostly consists of 25 questions on topics like digital electronics (DCS, propagation delay of flip-flops, counters etc. ), analog electronics (BJTs, MOSFETs etc. ), network analysis (RLC Circuits), microprocessors, and communications. They have to be answered in 45 minutes. • Is Technology removing human interaction? • What are the latest Samsung products and their new features? For doing an internship in Samsung headquarters in Korea, onsite technical and HR interviews (15 minutes each) are organized by the placement cells of top-tier colleges like IITs. Students can also apply individually as ‘foreign admits’ through Samsung website. CGPA is the most important criteria for selection along with JEE All India Ranks. Once the internship starts, a mentor is assigned to every student. Students are provided tickets for the travel along with accommodation at a five-star hotel for the first week. The first week normally has induction sessions, which culminates with a DJ-night party on the first weekend. Students work either in pairs or individually, depending upon their mentors and the assigned projects. Samsung generally offers a stipend of 30K/month. Other perks include free lunch & dinner, AC-bus facilities, and team lunches. Be calm and confident: For the coding round, practice solving graph algorithms without using vectors beforehand. Don’t lose your cool during GD. You are not expected to talk like an orator; just present your points in a confident manner and make sure that you only say relevant points. Work culture: Samsung usually follows a hierarchical work culture. Interns are motivated to come up with new ideas, but everything has to go through a system. Also, it’s compulsory to work for at least 9 hours every day. Work from home is not allowed. However, a lot of fun and recreational activities are organized regularly. • Accuracy and time management is essential for clearing the aptitude test. It’s better to leave a question than spending more than 90 seconds on it. • Resources: The best way to prepare is by practicing a lot of coding questions that were actually asked in Samsung tests in the past. You can get all the questions asked over the years here. To prepare for the aptitude tests, you can go through this Q&A site. You can also read about the amazing experience of Akankshya while she did her Samsung summer internship at SRI-Bangalore and got the PPO. If you wish to build a career in the software industry, you can find similar computer science internships; just register and start applying. If you have done an internship at Samsung and have something to add, we would like to hear; please comment below. Thanks a lot to provide the information about the internships and PPOs. .. Really it helped me a lot. …. But. . As I am pursuing btech in IT branch. So can I start my internship here in Samsung and can get selection in PPOs?? Thank you for writing in. You can visit the career page of Samsung at this link- https://careers.ap.samsung.com/careers/svc/account/viewRegisterProfile, and see if it helps. My son is studying B.Tech. (ECE) 3rd year in Aditya Engg. College, Surampalem, Andhra Pradesh. He wants to do internship from Samsung co. Is there any training place in Andhra Pradesh. I want to do internship from Samsung R&D India. Is it the common link of all divisions of Samsung or Is there a different process for Samsung Bangalore? Please help me out asap. The link given in the article is the common link to apply to Samsung. We don’t have any information regarding the application procedure at Samsung Bangalore currently. Please visit their official careers page for details. Just I want join to Samsung mobiles department, because i do something in this filed . We do not have any information regarding internships at Samsung currently. Please visit their official careers page for details. We do not have any information regarding the internships at Samsung. However, you can look for electronics internships available on Internshala. Please register here – http://bit.ly/new-registration to begin your journey with Internshala. If you’ve already registered, please visit http://bit.ly/ece_is for all electronics internships live on our platform. Currently, we do not have any information regarding internships at Samsung. Please visit their official careers page for details. You can also look for internships in VLSI and embedded systems on Internshala by registering here – http://bit.ly/new-registration.